Looking for fast, friendly, and efficient motor vehicle division services in Rio Rancho, New Mexico? We, at the MVD Express, can help you with anything from paying for a ticket to getting your first drivers license. For wait times that can be shorter, and less terrifying, than sitting in your dentist’s office, contact us today! You can even check our wait-times online before you come in! We know you’ve got a ton of stuff to take care of today; hanging out with us is just one of them. Because of that, we’ll get you in, out and on your way with more than enough time to get where you’re going! Are you doing an MVD records search on an (potential) employee? Contact us at the MVD Express today—we can help you get that information! Contact us today to speak to a knowledgeable professional about your motor vehicle division service needs! 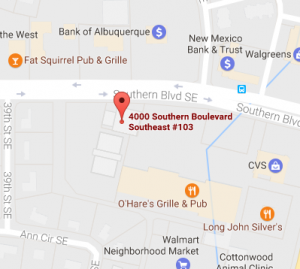 We also have offices in Albuquerque, Santa Fe and Las Cruces, NM! Call your local MVD Express today for all your Motor Vehicle Division Services in Rio Rancho, NM!